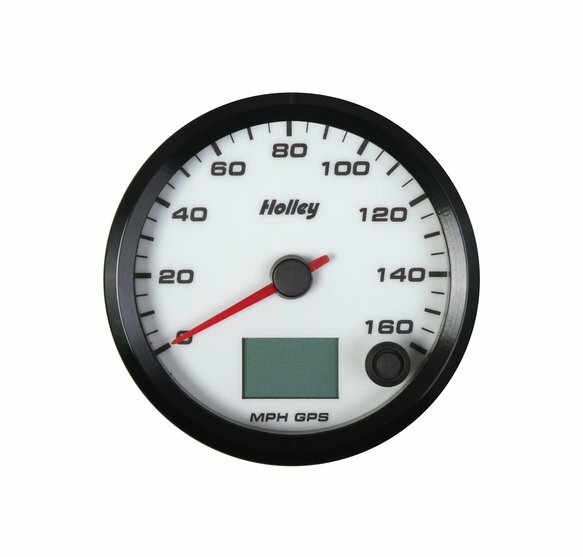 Holley's analog-style standalone GPS Speedometers feature slim style mounting which requires very little dash space depth for mounting. 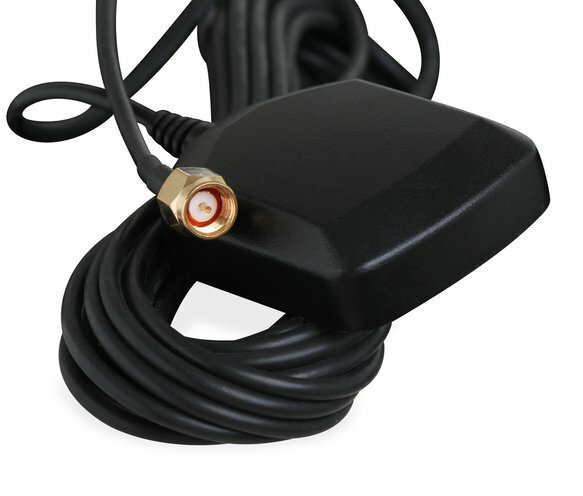 GPS antenna is included with 15' cable to route antenna to convenient location in corner of the dash. 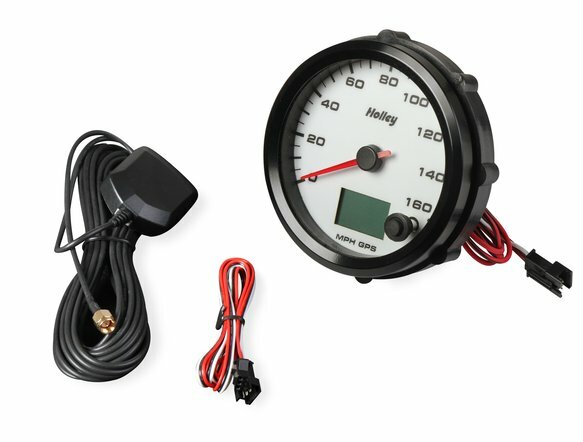 All of our Holley speedometers feature dimmable LED backlighting to ensure you can always see the gauge no matter the environment. 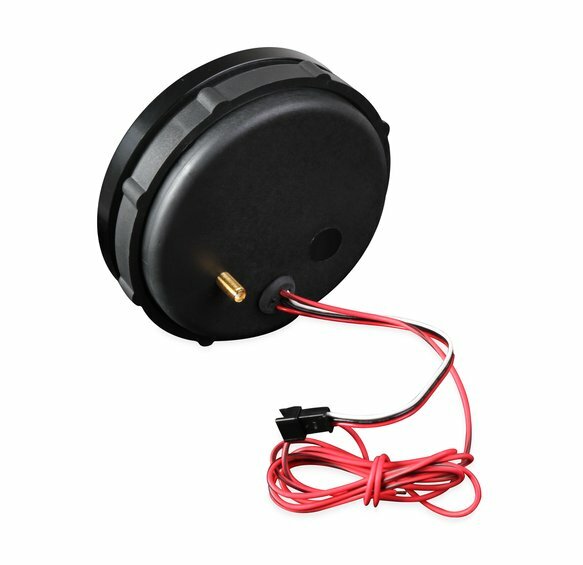 Each speedometer is tested to insure top quality accurate readings. Holley GPS speedometers are designed for a 3-3/8" or 4-1/2" opening and available with black face with white lettering or white face with black lettering.